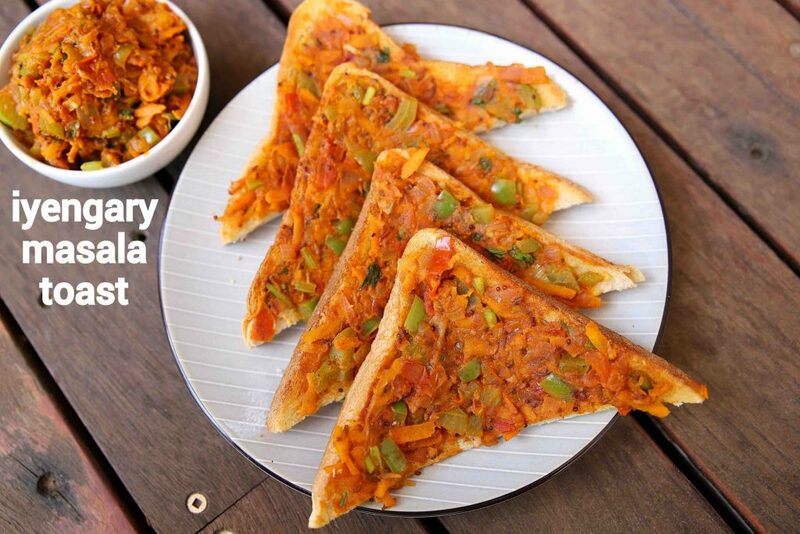 masala toast recipe – iyengar bakery style | bakery vegetable masala toast with detailed photo and video recipe. a unique way of preparing a sandwich which is also known as an open sandwich. it is a popular snack from south india particularly in bangalore and chennai served in iyengar bakery’s. 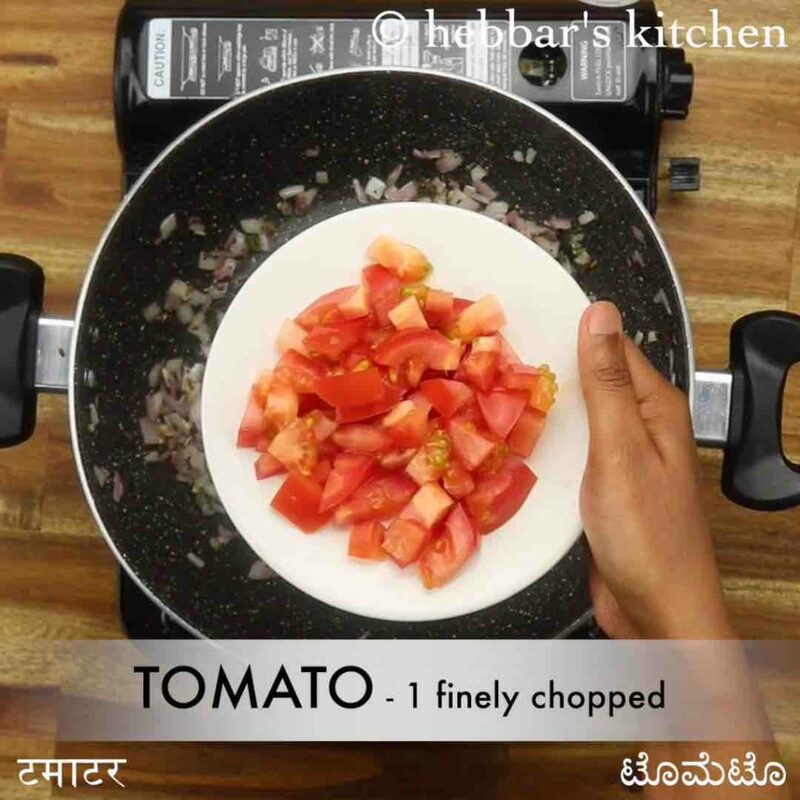 it is easy and simple to make as the masala topping is applied at the top of bread and toasted on grill or tawa. 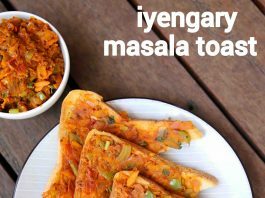 masala toast recipe – iyengar bakery style | bakery vegetable masala toast with step by step photo and video. 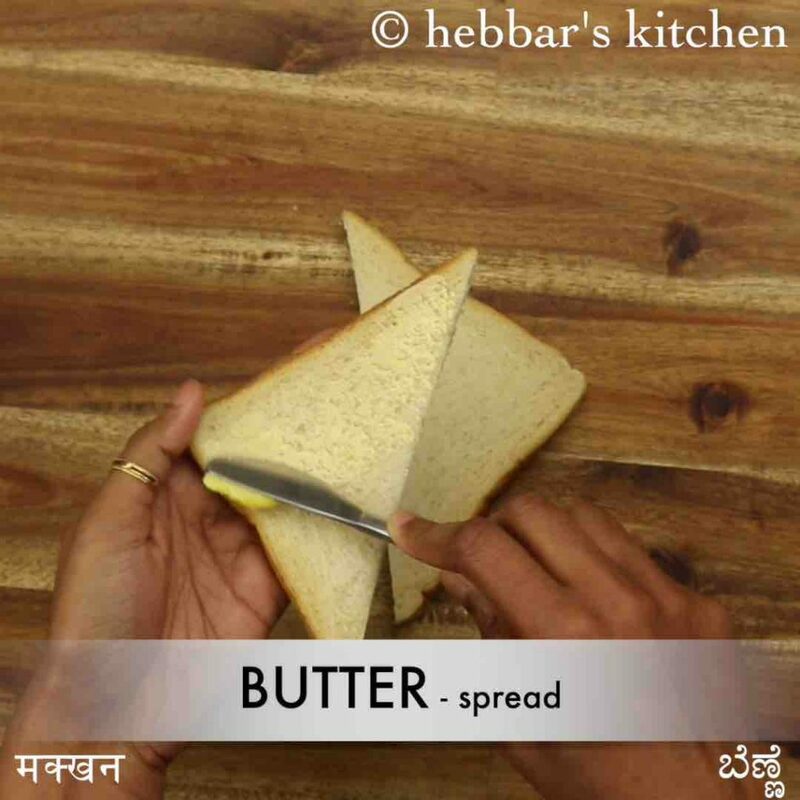 toast or sandwich recipes are not common to indian cuisine, yet it is embraced gracefully by indians. every state and region has its own unique and tasty toast sandwich and toast recipes. 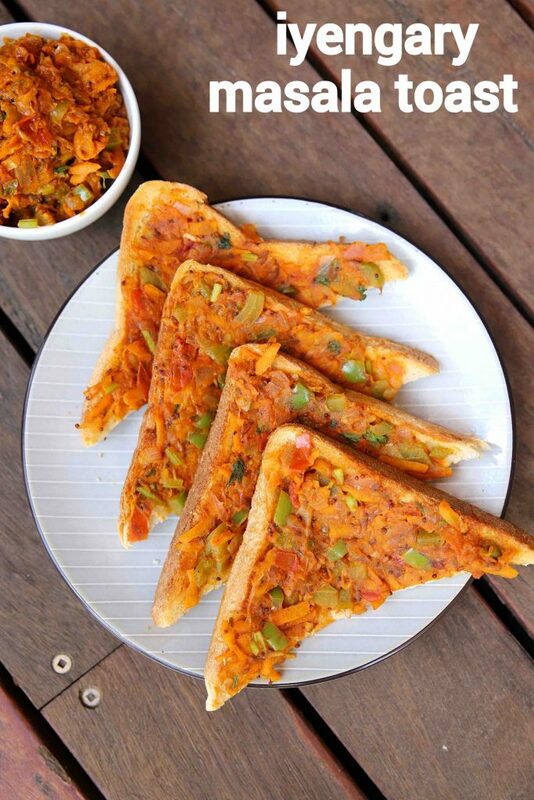 one such open sandwich or toast recipe is masala toast recipe from the popular iyengar bakery chain. i have shared quite a few toast and sandwich recipes till now in my blog but this recipe is the spiciest ever. 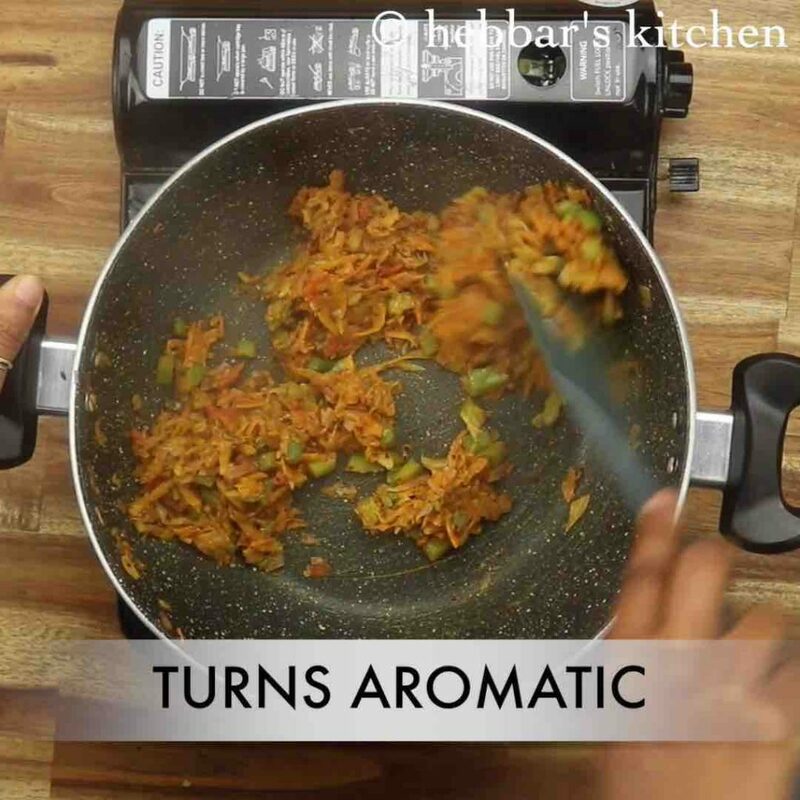 yet most flavoured and lip-smacking recipe. hence i recommend using it for an evening snack rather than as morning breakfast meal. you may need something less spicy and more of carbs during your early meal. having said that, you can use the same stuffing or topping to stuff in between 2 slices of bread and make a iyengar style sandwich recipe. i extend the same recipe by adding the avocado guacamole spread as an addition to the following stuffing. moreover you can also apply green chutney or sandwich chutney to make it even more spicy and flavoured. 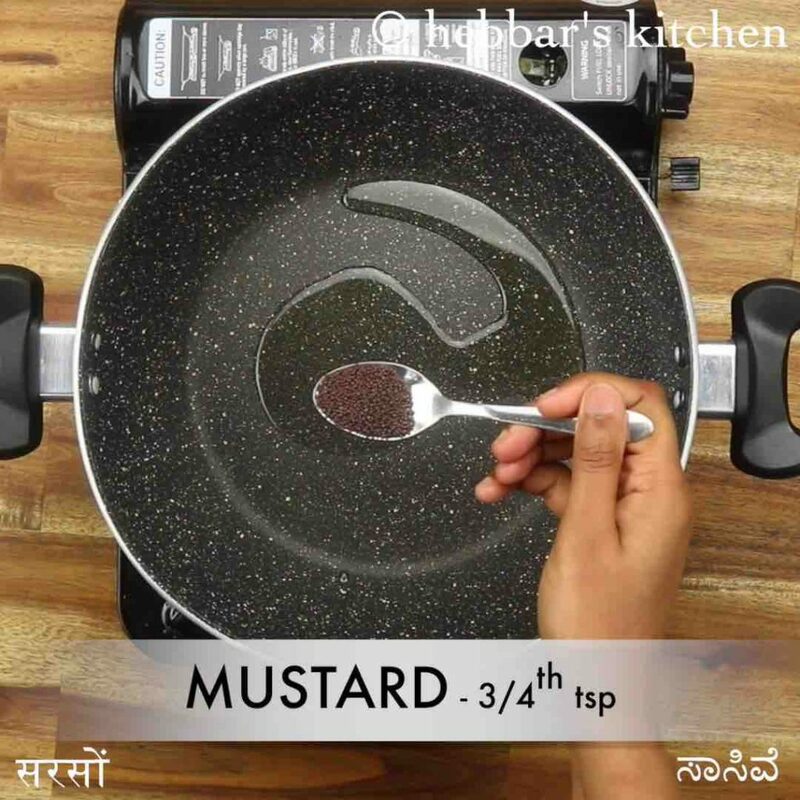 the recipe for masala toast – iyengar bakery style is extremely simple and can be made in minutes, yet some tips and suggestions. firstly, i have used white sandwich bread slices for this recipe which is ideal and recommended. you may use the multigrain bread or brown bread to make it healthier options but not recommended. 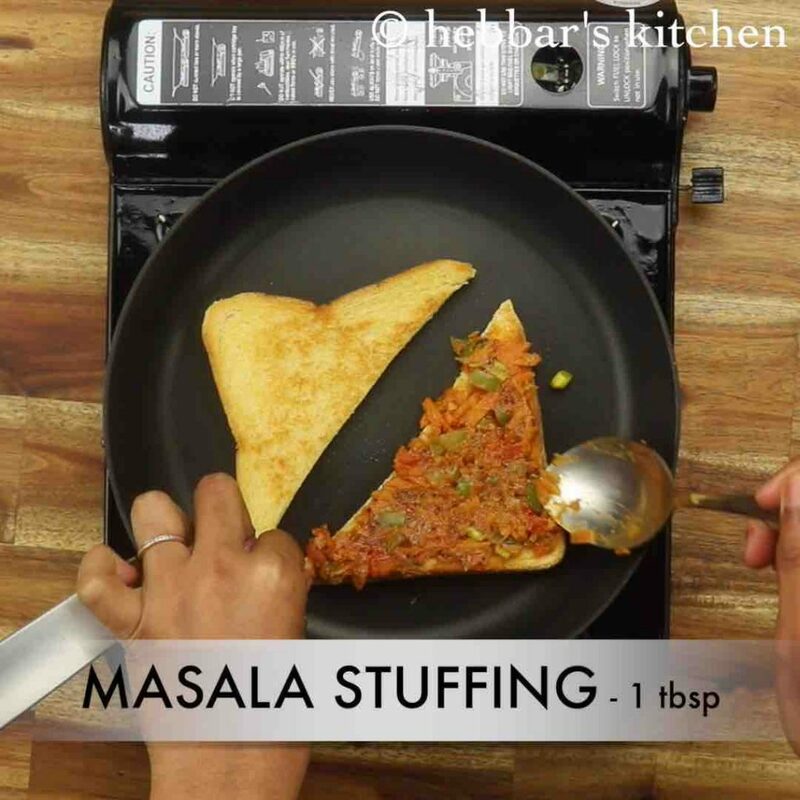 secondly, you can prepare the masala toast stuffing well ahead in advance and use it whenever required. you can also make it and store it overnight in refrigerator to use it next morning. 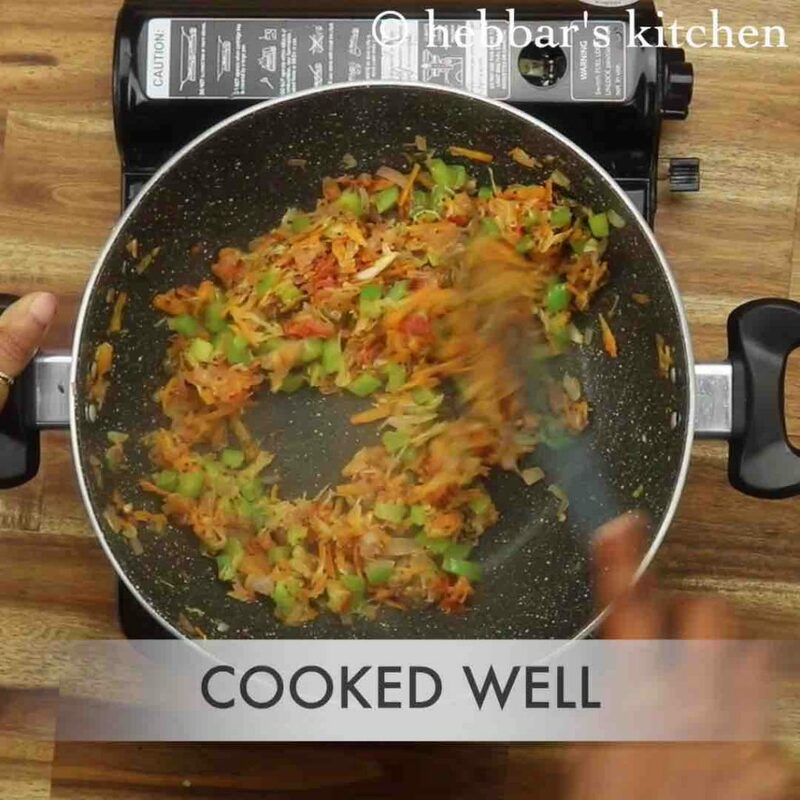 lastly, if you prefer you can add more finely chopped veggies like carrots, beans, sweet corn and even green pea to extend it. firstly, in a large kadai heat 2 tsp oil and splutter ¾ tsp mustard, ½ tsp cumin, 1 chilli and 1 inch ginger. now add ½ onion, 1 tomato and saute well. 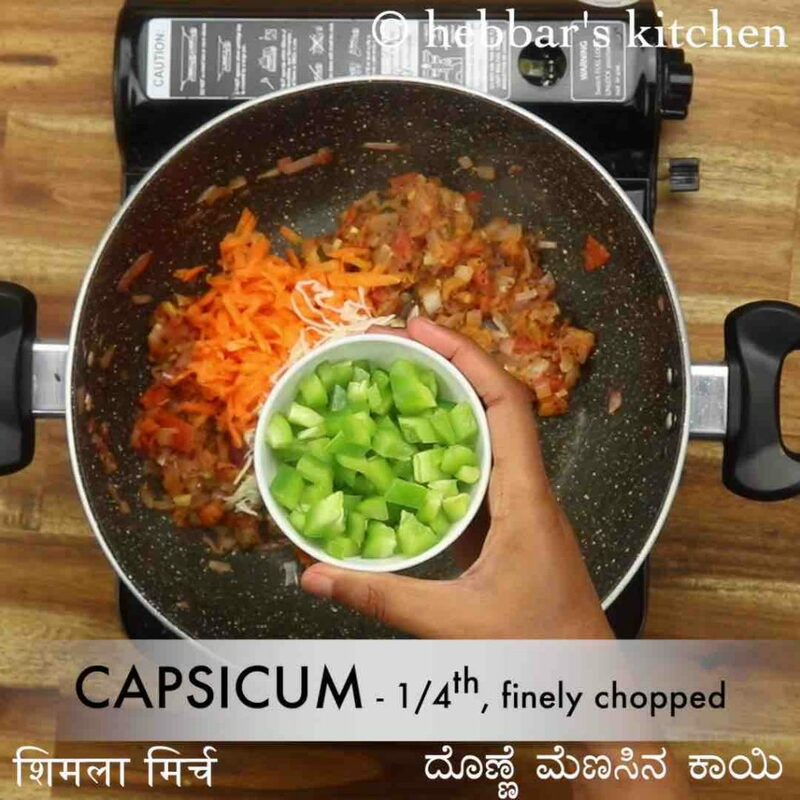 also add 1 carrot, ¾ cup cabbage and ¼ capsicum. 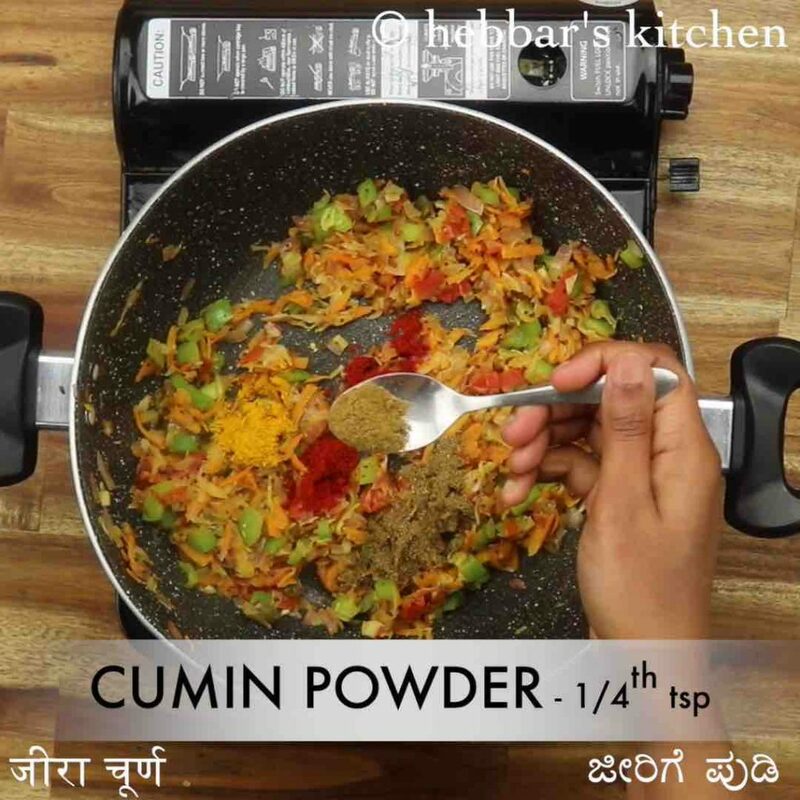 keeping the flame on low add ¼ tsp turmeric, ½ tsp chilli powder, ½ tsp garam masala, ¼ tsp cumin powder, ½ tsp chaat masala and ½ tsp salt. furthermore add 2 tbsp tomato sauce and mix until everything is combined well. 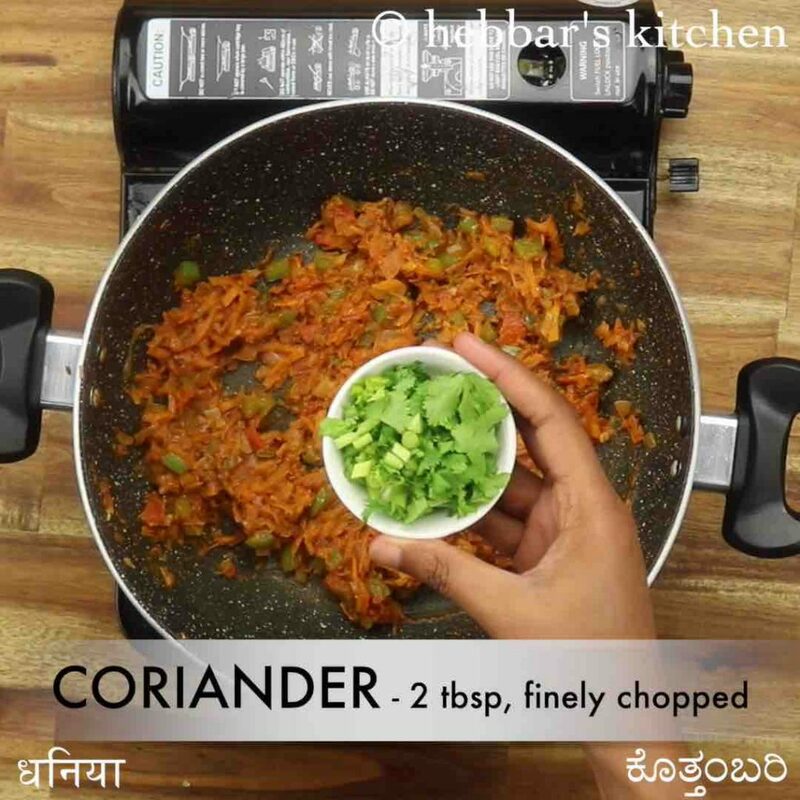 also add 2 tbsp coriander and mix well. masala topping is ready, keep aside. 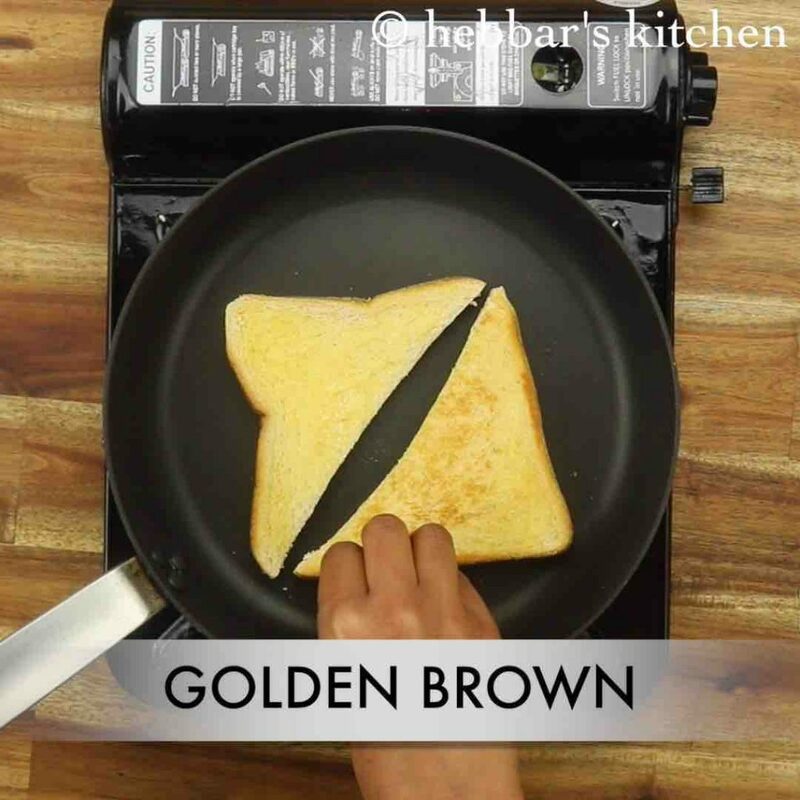 toast the bread to golden brown on both sides. once the bread turns golden brown from one side, spread a tbsp of prepared masala over bread and toast golden. finally, enjoy the iyengar style masala toast with hot masala chai. now add ½ onion and saute until they sweat. do not brown the onions. saute until the vegetables are cooked yet retain their shape. saute for a minute until the spices turn aromatic. furthermore, add 2 tbsp tomato sauce and mix until everything is combined well. also, add 2 tbsp coriander and mix well. masala topping is ready, keep aside. cut the bread into half triangles and spread butter on both sides. firstly, use white bread or brown bread of your choice to prepare masala toast. also, you can stuff the prepared masala between the bread and prepare masala sandwich recipe. additionally, add vegetables of your choice to make stuffing more nutritious. 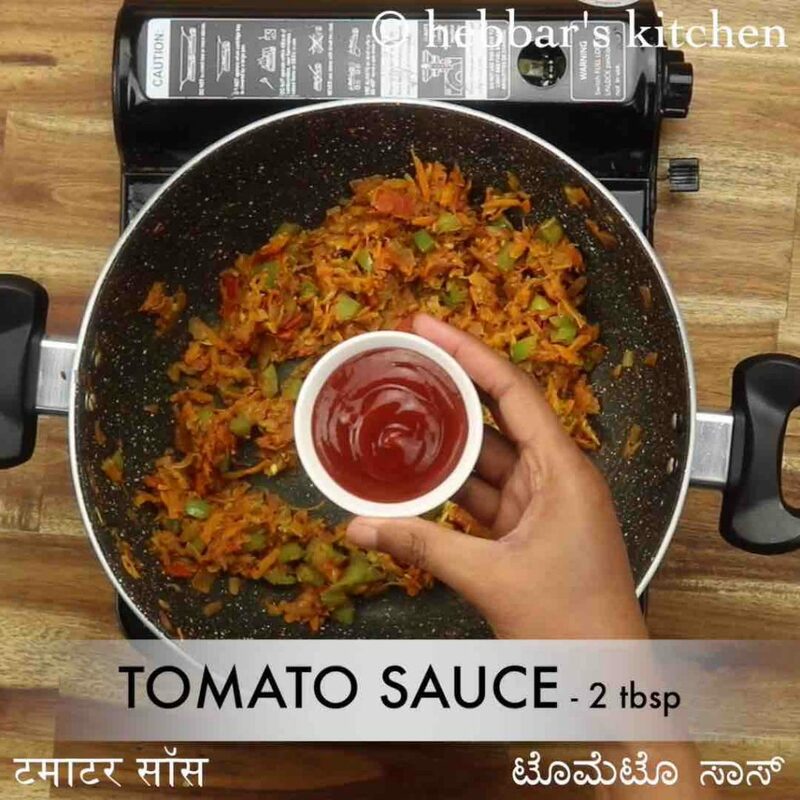 finally, iyengar style masala toast recipe tastes great when tomato sauce is added to the masala mixture.